LINE is a very popular instant messaging application. As a LINE user, you could be in a scenario where you want to delete a chat completely to avoid privacy leak. 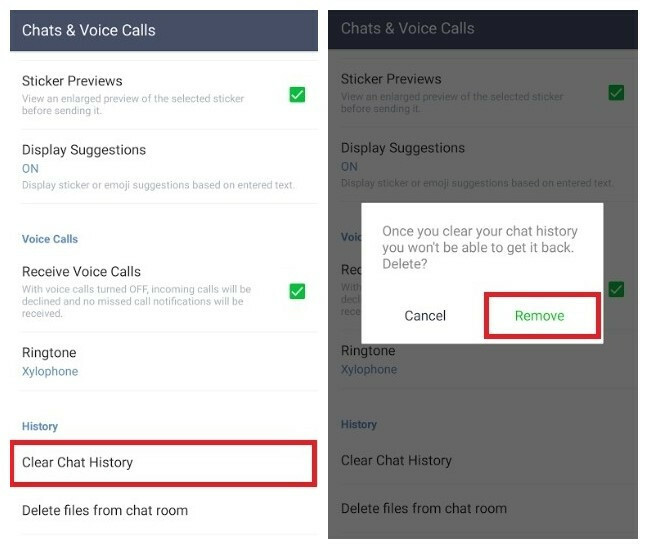 In this article, we will show you a tool you can use to delete LINE chat history on iPhone. 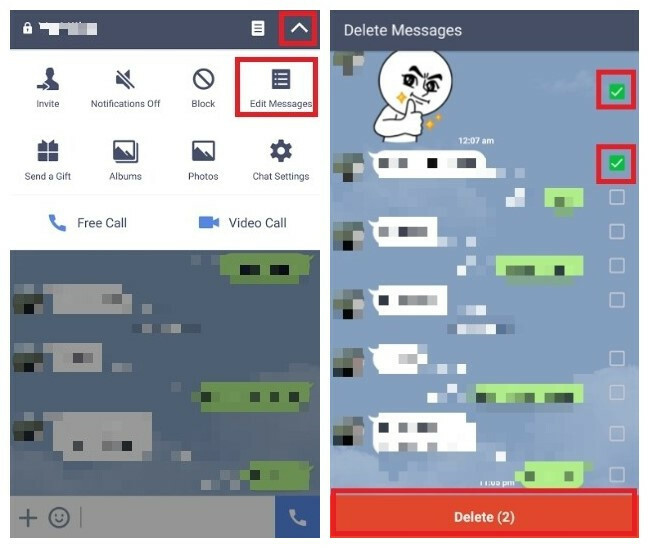 LINE allows its users to delete their messages selectively. Also, it is possible to wipe out the entire chat history. In this article, we will introduce three methods on how to do this. How to Permanently Erase LINE Chat History on iPhone? It will help you erase your LINE messages permanently. No one will be able to recover the messages. You can find and permanently erase the LINE messages you had deleted using the conventional means. It can help you save space by clearing LINE crash logs, fragments, corrupt files, and caches. iMyFone Umate Pro is recommended by lots of noted media arround the world: MacWorld, iPhoneinCanada, APPKED, etc. Step 1: Download, install and launch iMyFone Umate Pro on your Windows PC or Mac. Connect your iPhone or iPad to your computer. You will have to trust the computer if you are connecting to the computer for the first time. Step 2: Tap Erase Private Data on the left-hand column and then click Scan. Step 3: After the scan, select LINE from the list of apps displayed on the Private Data column. You can preview the LINE messages and select the ones you wish to delete. Tap Erase Now. 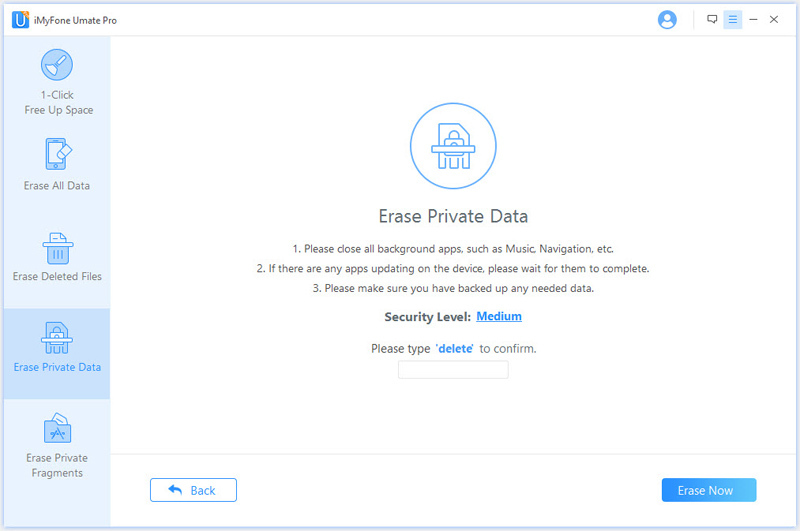 Step 4: Select the privacy level and type “delete” in the textbox. Click Erase Now again. Step 1: Launch LINE on your iPhone and open the chatroom whose messages you would like to delete. At the top-right of the chatroom window, tap the V icon. Step 2: Click Edit Messages and then select Delete Messages on the popup that appears. Step 3: Select the messages you wish to delete. At the bottom, tap Delete [number of messages]. Maybe you want to delete all your chat history. 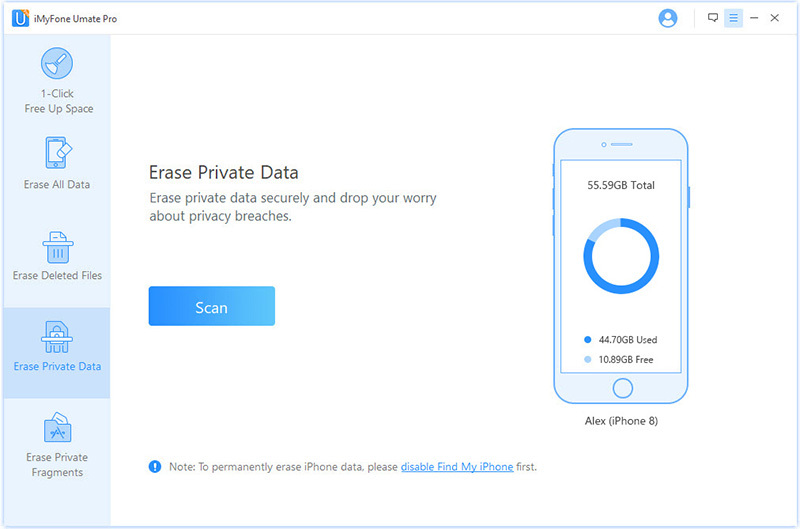 This could be because you want to create more space on your device or you are just removing private information before you resell or give away your iPhone or iPad. Using the previously described method will be tedious. You would want a method that can wipe all your LINE messages in one go. To delete LINE chat history on iPhone without leaving a single message in the chats, follow the following steps. Step 1: On LINE, open Chats & Voice Calls. This option will be available in More > Settings. Step 2: Click Clear Chat History. This option will be available under History. A Popup will appear asking you to confirm whether you do want to delete your chat history. Tap Remove to confirm. The above 2 conventional methods of deleting LINE messages will make them disappear such that you will not have the ability to view them yourself. However, the messages will still be available on your iPhone. They will just be moved from the Allocated space to Unallocated space where you cannot view them. However, they can be recovered using a simple third-party tool. 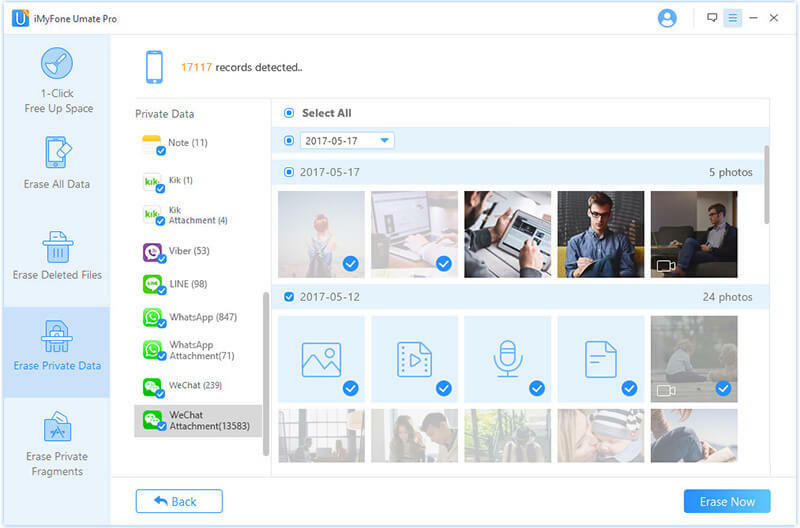 If you are deleting your LINE messages to safeguard your privacy, it's wise to use iMyFone Umate Pro.